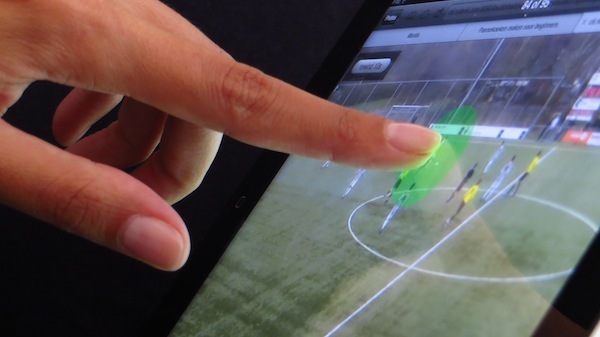 The Spatial Spotting Tool is for pointing out objects or people inside video frames, such as a building or a football player. The tool enables highlighting and tagging specific locations on a video image. 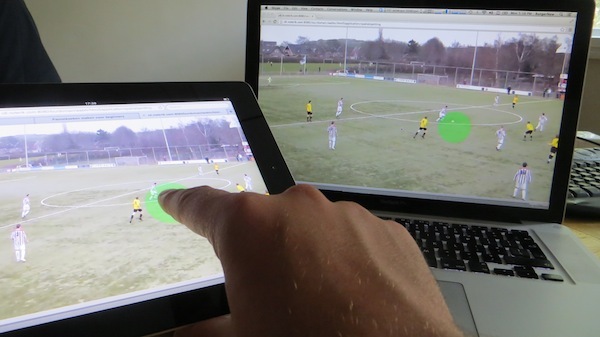 Furthermore, as the tool is developed with our Multiscreen Toolkit, it is possible for users to collaborate live with each other on multiple devices (co-viewing). This synchronous working mode is currently available for on-demand video streams. 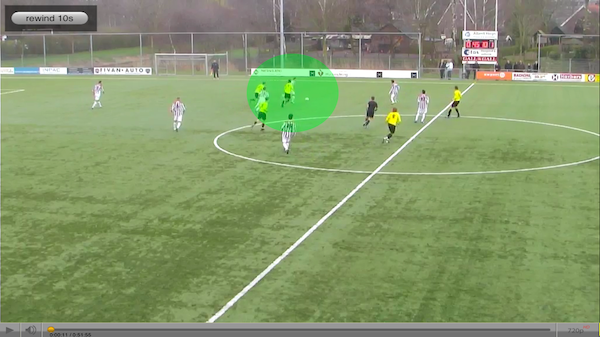 In this demonstration video we show how the Spatial Spotting Tool works with an on-demand video stream of a soccer game. One user is able to play, pauze and scrub through the video and this will also happen on the other screen (in this demo movie, both screens are in the same room, but this can be anywhere on the Internet). In a multi-user setting users can discuss highlighted and tagged objects over a VoIP connection (co-viewing). For example, users can work together on what kind of tags to use (labels, precision), as the tags can also be used for searching objects or people, or for creating playlists of specific video parts. When a user makes a tag, the video is paused to make tagging easier. The tagged objects can serve as links to other sources, and support a click-video experience, which could be used for marketing purposes, or for providing additional information about tagged objects. Please contact us to learn more about the Spatial Spotting Tool!